Burnside cottage is ideally located for exploring the Isle of Skye or the Scottish mainland of Wester Ross. 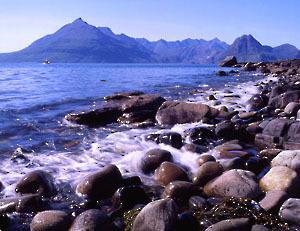 Local activities include hill walking, climbing, sight seeing, fishing, golf, kayaking and cycling. For hot summers days a visit to the unspoilt sandy beaches of nearby Ashaig or Torrin is highly recommended. For the less energetic the cottage is perfectly located for some gentle walks along the Broadford river or around the bay to Irishman's point. There is also 17kms of all ability footpath recently constructed nearby. Skye is a walkers paradise and boasts one of the most spectacular landscapes to be found in the British Isles.The dramatic Cuillins of Skye are a magnet to walkers and climbers from all over the world. 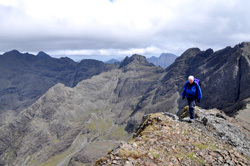 Local guides can show you some of the most stunning mountains in Scotland or explore the Cuillin ridge on your own. 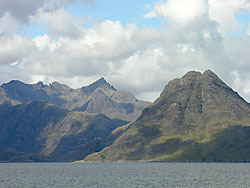 Alternatively you can visit Loch Coruisk in the heart of the Cuillins by taking the "Misty Isle" or "Bella Jane" boats from Elgol. Skye is also home to some rare and spectacular wildlife. 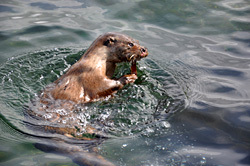 If you are lucky you may see the elusive otters which hunt in Broadford bay and along the river. In the mountains you may see Golden Eagles or the extremely rare white tailed Sea Eagle which nest in small numbers on Skye. For evening entertainment there are several restaurants and pubs in easy walking distance from the cottage. For example the Bistro restaurant at the local Broadford Hotel, the Claymore Inn and Creeler's restaurant all offer fresh local food. For a special meal there is the world famous Three Chimneys restaurant in north Skye or Lady Claire MacDonald's Kinloch Lodge, a short drive from Broadford.